Why Anakin building C-3PO is stupid. I'm probably not the first person to have this idea. I'm sorry. I can't be bothered to do any research to see who else has already figured this out. If you've strung all of these points together before I have, good for you. Have a cookie. One of the many loose, tattered and mismatched threads of chaos winding its way through the storyline of Star Wars Episode One: The Phantom Menace is the ludicrous idea that Anakin Skywalker, at the age of nine, built the protocol droid C-3PO. This is very clearly one of the gigantic neon signs that George Lucas insisted on littering throughout The Phantom Menace. Uncle George's signs all say the same thing: Anakin Skywalker is the greatest kid that's ever existed. He's a whiz with technology, he can build outrageous things, he can fly a deathtrap around a canyon better than anyone else, and the Force is with him because he can randomly mash buttons in a spaceship and shoot battle droids by accident. He also built his mother a protocol droid. I can imagine the day he wheeled its naked, wiry form into the kitchen: "Mother, I've made you a monster. It's hideous, unfinished, smarmy, speaks with a British accent, and its elbows don't bend, so there's no chance it can help you with the dishes." There are two things wrong with this entire scenario. The first is obvious: Anakin is an idiot. Great, kid. Mom doesn't need a protocol droid. Mom is a slave. Mom doesn't need to speak six million forms of communication. Mom also probably won't appreciate having to constantly spit-polish the exterior of a metallic gold translator with a superiority complex, either. The second problem with the whole Anakin-builds-3PO concept is that there's no real reason why Anakin should have built, specifically, a protocol droid. Anakin could have built anything. Anakin could have built something customised to his (or his mom's) situation. Anakin could have built something, y'know, cool. C-3PO, the gold one, companion to R2D2. 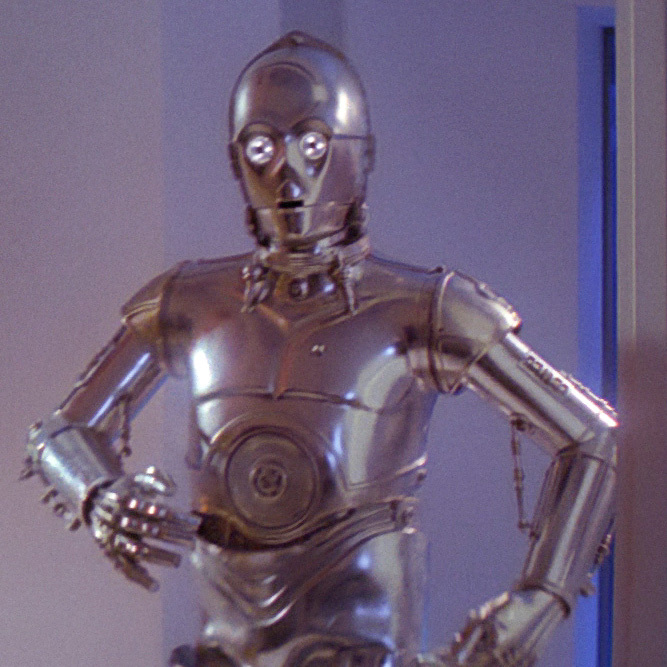 E-3PO, the silver one, incredibly rude droid C-3PO encountered at Cloud City. 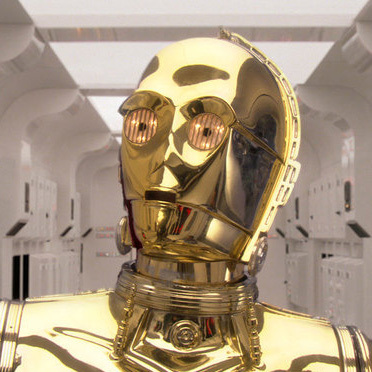 K-3PO, the white one, generally hung around Rebel bases doing important things, was standing about in the control room during the first Death Star battle, and was later seen staggering around in the Rebel base on Hoth. R-3PO, the red one, also seen staggering about in the Rebel base on Hoth. 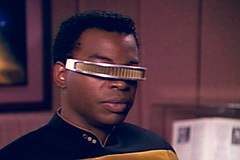 Later, apparently, revealed to be an Imperial traitor in one of the expanded universe things that I don't care about. So, Anakin built an exact knock-off of an already existing product that did not actually suit his mother's purposes, and -- if anything -- would actually hinder his mother. This is the equivalent of an amazing technological and mechanical whiz kid who has the ability to build a car in his garage from scratch, and instead of choosing to build an exact knock-off of a Bugatti Veyron, OR a practical vehicle that suits his (or his mother's) purposes, OR a completely customised vehicle that's exactly what he (or his mother) needs, instead.....he builds an exact replica of Volvo.